TALLAHASSEE — St. Augustine attorney Christopher William Adamec has been disbarred following a March 14 Florida Supreme Court order and his sentencing earlier this year for allegedly stealing client funds, according to a recent announcement by The Florida Bar. "The Bar was investigating complaints that Adamec collected excessive fees and falsified invoices and failed to provide competent representation," the state bar said in its March 29 announcement of the discipline and the Supreme Court's order. "He was arrested for theft of client funds and entered a plea to the charge of grand theft in excess of $100,000, a first-degree felony. After his Petition for Disciplinary Revocation was filed, Adamec was sentenced in January to 22 months in prison and 10 years of probation." The state Supreme Court issued its two-page order of disciplinary revocation, tantamount to disbarment, with leave to seek readmission after five years. Adamec, 46, was already suspended, so his disbarment took effect immediately. The court also ordered Adamec to pay a little more than $3,330 in costs. 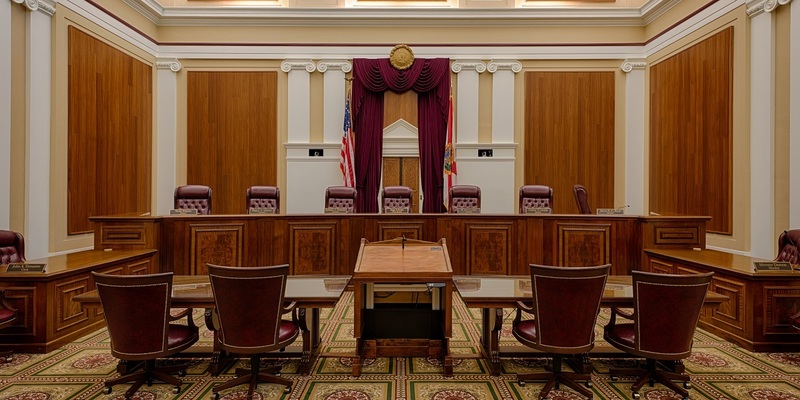 Florida court orders are not final until time to file a rehearing motion expires. Filing such a motion does not alter the effective date of Adamec's disbarment. Adamec was admitted to the bar in Florida on May 5, 2003, according to his profile at the state bar website. No prior discipline before the state bar is listed on Adamec's state bar profile. The state bar has been investigating complaints by three former clients who allege Adamec charge excessive fees, falsified invoices and provided incompetent representation, according to Adamec's petition for disciplinary revocation. Seventh Judicial Circuit Court Judge Howard Maltz sentenced Adamec on Jan. 9 following his plea in October to one count of grand theft in excess of $100,000. Adamec currently is being held in minimum security at the Blackwater River Correctional Facility in Milton, according to an online Florida Department of Corrections inmate search. His currently scheduled release date is Oct. 21, 2020.